MEGAN, YOU DID IT!!! WE DID IT!!! 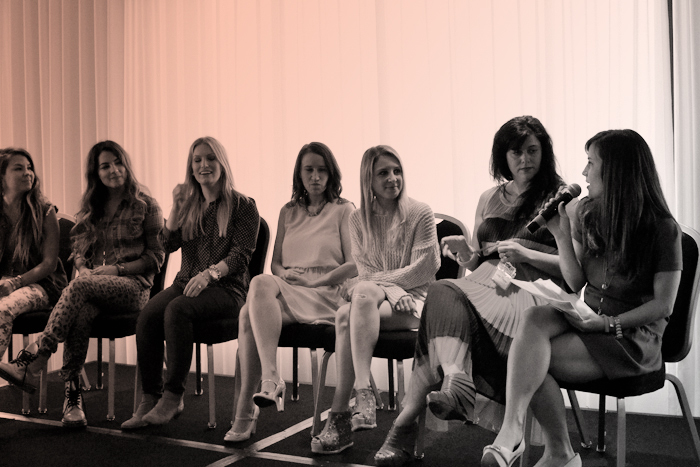 Many, many congrats on the hugely successful launch of the Houston Blogger Symposium! 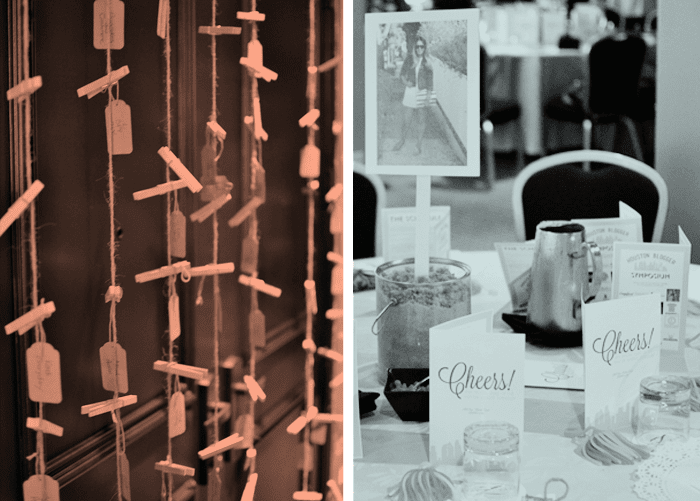 The not-so-little-anymore blogging conference that we've been working on together since March finally happened this past weekend, and it was AWESOME. Every once and a while, I would look up and give myself a little pinch to make sure it was real. Being wowed by the chic venue that was so beautifully set up, snacking on the amazing brunch spread and sipping on sparkling champagne, hanging with good friends, meeting all the hilarious and amazing blogger babes (that definitely includes you, Paige Budde), seeing the culmination of all the hard work, taking in the wise words of the speakers, the amazing support of the sponsors, being surrounded by my design work in action, and the fact that it all went off without a major hitch....it's just an overwhelming sense of happiness and pride. Megan, I am just so so so beyond grateful to have worked with you on this project and for the opportunity. I may or may not have cried when I read that sweet note you stuffed in the swag bags. I'll be your matron of honor any day of the year. ;) Thanks so much, my fantastic and inspiring friend. I lurve you. The panels kicked off with bloggers Katy Atlas, Kristina Braly, Alicia DeRago, sisters Brandi Lisenbe & Kelly Garcia, and Laura Mayes chatting it up about their blogging careers and those "magical ingredients" that take a blog from 'meh' to 'wow." The general consensus (that was beautifully summed up by Laura)? Put lovely out there, and you will get it back. I'm going to add my 2 cents to that. Apply that concept to everything you do - content (writing and photography), etiquette, comments, and collaborations - and you will be golden. 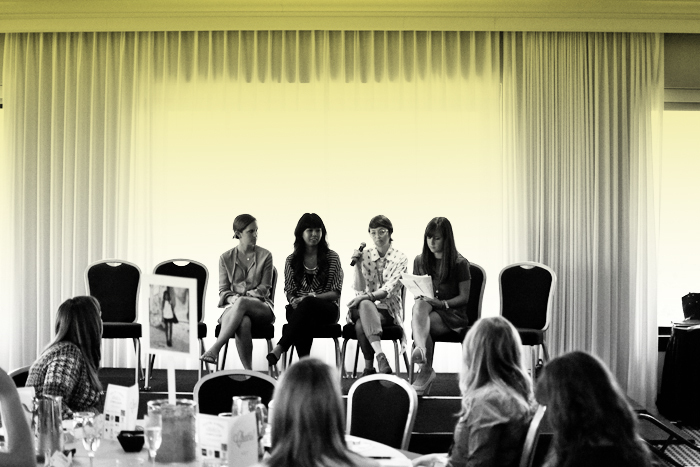 Davina Hirsh, Julianne Agno, and Meg Jones spilled the beans on monetizing your blog and working with brands. Their tips? Don't be afraid to reach out, but have some concrete samples of what you'd like to work with them on. For example, if you are wanting to do an outfit post, send them photos giving them an idea of what it will look like. Did you sell an item out after it appeared on your blog? Now's the time to brag about it. ;) Oh...and I suppose now is a good time to thank those lovely sponsors (and again, you Megan, for pounding that muggy Houston pavement to get them!) that helped make the event possible. 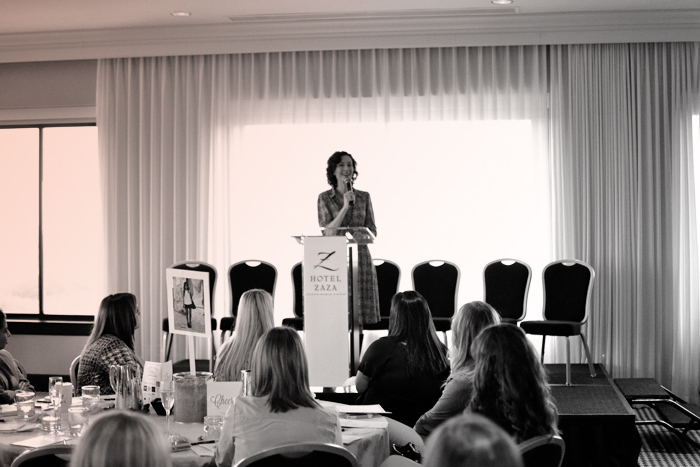 Austin’s PR powerhouse, Lisa O’Neill, showered us all with awesome insider pr tips. Her key point? Make yourself newsworthy, and make an effort to get to know your local media. Hit up as many networking events as you can, and get your face out there! I'll be on the lookout for y'alls faces in the local paper, mmmkay? The whole weekend was just very swanky and chic....and to quote Borat, "veerrrrryyy niiiice!!!". Here's hoping the #HBSYM will strike again next year. ;) Cheers! HBS was truly amazing. I knew it was going to be awesome, but it was even better than I imagined! I didn't want it to end. I really hope that y'all plan on doing it next year! Loved putting a face to the name....hope to see you again soon. Ashley! It was an awesome event! I cannot wait for next year and loved meeting you! -to quote Borat, "veerrrrryyy niiiice!!!". WHAT?! Really!!! ZOMG - is it why I think it is???? MRAHHHHHH!!! 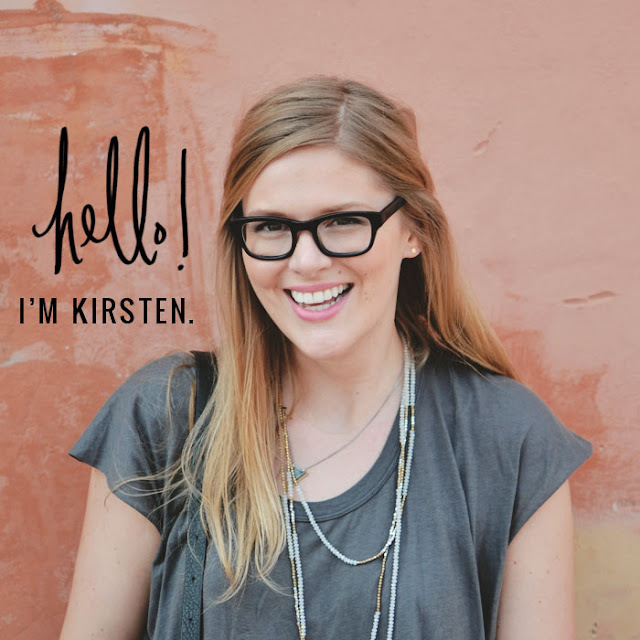 Love this, Kirsten! It was so great to meet you! So great meeting you too, Lindsay! Amazing event!! Seriously it done so well. I can't wait to see what you and Meg put together for next year! It was...I was on such a high all weekend! this looks so neat! you know, if my husband gets a job in texas maybe it won't be the end of my life after all :) your pictures are fabulous and i'm excited to be your newest follower! Not at all! It's only just the beginning...Texas is an adventure, that's for sure. We moved here about a year ago and love it. :) Where do you think you would be living here? AMAZING JOB LADIES!!!! YOU DID DO IT AND Y'ALL DID IT WELL! I look forward to seeing more of this little community!